Laura Watkins has been studying astrology for over thirty years and has 20 years of experience as an Astrological Counselor. She is a Reiki Master, Crystal Healer, and a Cross-Cultural Shamanic Energy Healer specializing in Andean practices. Laura is a member of the Astrological Society of Connecticut, the Organization of Professional Astrologers, and the International Association of Reiki Professionals. Currently studying herbalism and aromatherapy, Laura loves to combine energetic healing modalities to heal herself and others. 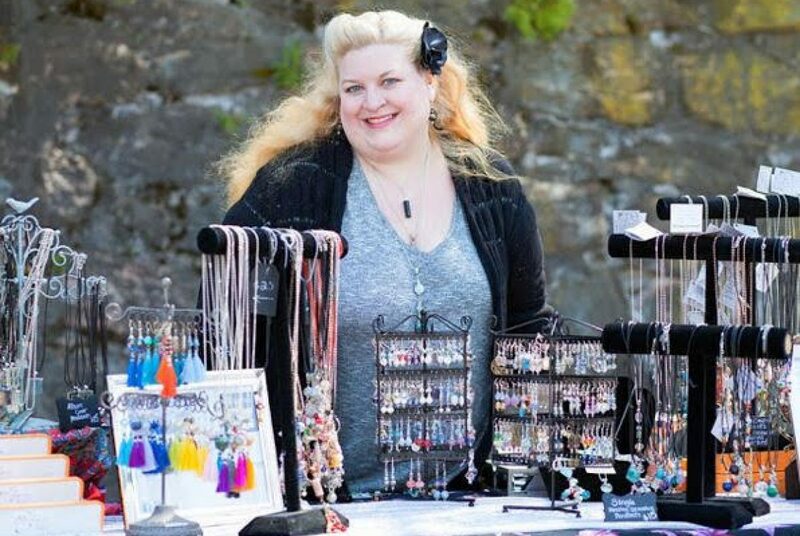 Laura has been making jewelry since 1986. Back in the 90s while living in Manhattan, Laura would read the natal charts of friends (and friends of friends) and would recommend crystals based upon what she saw in the charts. A “crystal prescription” to balance and enhance the person’s elemental energies. One of her friends said, “I’m not going to carry all those rocks around, can you make me something I could wear?” and the light-bulb went BING! Since then, Laura has been combining her love of the planets, stars, and crystals to create a very personal piece of jewelry based on each wearer’s specific natal chart. Contact us and see what she can make for you or your loved ones today! Local People! Come See Me Tomorrow For Mini Love Readings! What Is My Natal Chart And Why The Heck Should I Get My Chart Read? I was on the phone a while ago with someone who is probably one of the least woo-woo people I know. He doesn’t even like mainstream church. He is, however, very tolerant of ME, probably because he’s my brother. He was telling me something about being emotional about something (a movie? can’t remember) and I… Continue reading What Is My Natal Chart And Why The Heck Should I Get My Chart Read? Hand made healing crystal jewelry – chakra jewelry, custom astrological jewelry, totally personal, one of a kind.